Fine and elegant, Hédène French grand crus honeys box is made up of three emblematic Hédène French honeys with unique flavors, available in small sizes. If you want to buy a gift box with the best honeys for your relatives, our 40g trio’s purpose is to offer “Grand crus” pure honeys, through three emblematic Hédène honeys with various intensities. 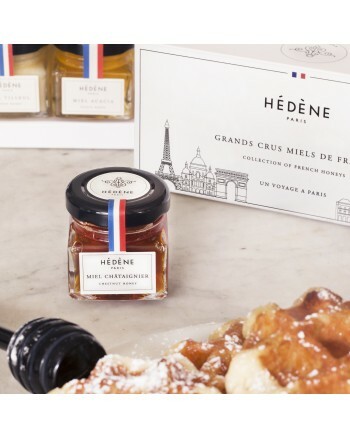 Hédène grand crus box is made up of three monofloral Hédène honeys with unique flavors, appropriate for different tasting moments. 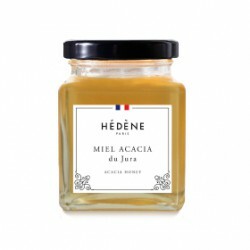 Acacia honey’s exceptional refinement and sweetness will please epicures. 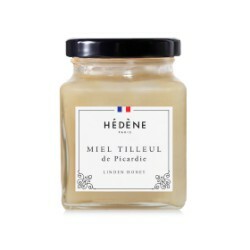 It is a key ingredient for breakfast, on a warm brioche or with white cheese. Linden honey’s intense freshness and subtle minty flavor can be tasted without moderation in tea. 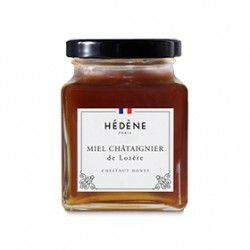 Finally, chestnut honey will match perfectly with meat or a mature cheese, thanks to intense notes and a woody flavor. Say “I love you” by offering Hédène grand crus box, rich in wonders. 3 refined Hédène honeys, unique and complementary on a gustatory level, in a nice box: the best way to discover the floral heritage of France with elegance and refinement!